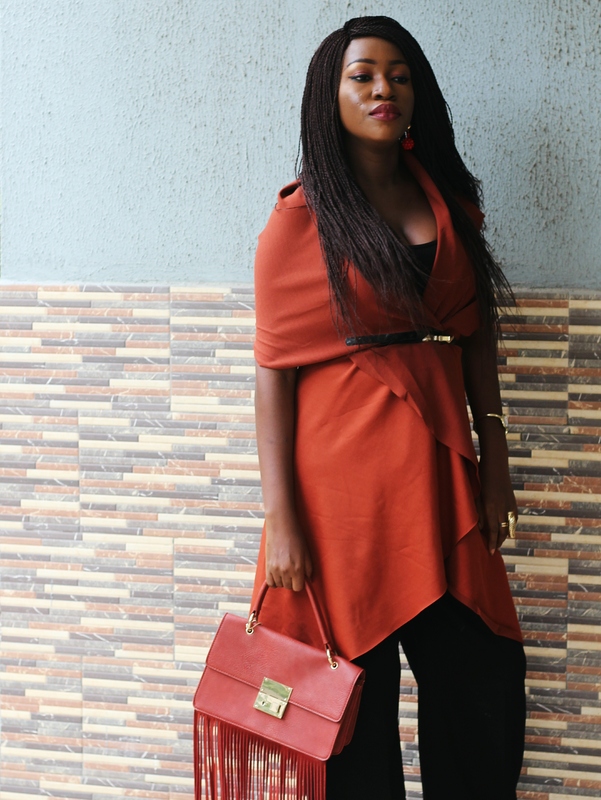 I believe that jackets are always a good idea, I’ve worn this waterfall jacket casually in this post here, as you already know having a number of styling options is super important, I mentioned that in this post where I restyled my Cami dress. I was looking for a more formal way to wear this waterfall jacket, so I picked out a skinny belt and my most comfortable pant trousers styled previously in this post here and here, and I was good to go. And the pants were obtained from my mums wardrobe,a while back. Please leave me your thoughts on this outfit, let me know what you think about it. The colour of the jacket is everything. Minimalist is surely the best way to go.